With a diverse economy that includes major presences like Boeing, BMW, and Sonoco Products, South Carolina is a common destination for Stratos Jets clients. Whether for doing business in Charleston, attending a conference in Columbia, or relaxing with a few rounds of golf in Myrtle Beach, Stratos can provide private jet charter flights to or from any place of interest in the state. By focusing on education, safety, and an exceptional customer experience, Stratos Jets helps clients make the most of everything that South Carolina has to offer. As with elsewhere in the country, the private jet charter flight industry in South Carolina is intensely competitive. Most private charter brokers focus on price above all else, doing everything possible to deliver the lowest quote and often making plenty of compromises in the process. Stratos Jets was established to provide a fundamentally different, superior style of service. Our founder and President recognized that the real interests of private charter flight clients were not being properly represented, and he resolved to do something about that problem. For nearly a decade, Stratos has been pursuing that mission in ways that set us apart from the rest of the industry. Whether for private charter flights in South Carolina or anywhere else in the country, Stratos puts the interests of clients first. Education is a Cornerstone of Our Business: From the resources on our website to our ongoing industry initiatives and to everyday interactions with our clients, we always strive to educate. Informed clients inevitably have better experiences, making more grounded decisions and enjoying the considerable value of private jet charter flights to an even greater extent. Where other brokers simply strive to book the next flight, we use the power of education and our other service commitments to build long-term relationships that benefit all involved. The Most Intensive, Revealing Due Diligence: Building relationships means more than just seeking the return business of clients. We work with only the most qualified, reliable, safety-focused carriers, and we perform deep due diligence to make sure this is the case. Before ever being allowed to transport a Stratos Jets client, our carriers must survive the most intensive scrutiny in the industry. Before ever being permitted to taxi our clients down a runway in South Carolina or anywhere else, pilots must display impeccable credentials with thousands of hours of experience and sterling professional records. Independent Verification, Certification, and Confidence: Even with our own rigorous standards in place, we look to objective, independent, third parties to ensure they are always upheld. ARGUS and WYVERN safety reports confirm that no flight will ever subject our clients to unnecessary dangers, while our Preferred Air Carrier program enforces the maintenance of effective safety systems by our partners. We also conduct our own regular checks to provide even more confidence that our carriers and their personnel remain the safest and best in the business. ARGUS Certified and a Leading Member of ACANA: Our status as an ARGUS Certified Charter Broker confirms that Stratos stands at the forefront of the industry. From our due diligence processes to our commitment to our clients, independent aviation authority ARGUS International has found Stratos to be an example that other private charter brokers would do well to follow. Since 2010, Stratos Jets has also been a member of the Air Charter Association of North America (ACANA), becoming one of the first prominent Part 135 brokers to join the group. We have also been instrumental in expanding ACANA’s influence to encompass more private charter brokers, with greater professionalism and improved adherence to best practices steadily becoming the norm, as a result. These important facts help Stratos excel on an operational level, producing customer experiences that consistently rank as the best in the industry. Wherever in South Carolina our clients might be headed or leaving from, our clients enjoy safer, more suitable, hassle-free private charter flights that deliver more. Experienced Agents Pursue Your Best Interests: Agents with other brokers play a mere numbers game, simply trying to maximize short-term revenues by booking the most flights. Our agents are tasked with seeing to it that the best possible arrangements for each particular client are made. In addition to educating clients about their options, that means looking as deeply as the market will allow to find the perfect carrier, aircraft, and terms for each customer. Every Detail Accounted For: Unlike with some other brokers, our services do not end with the making of a reservation. Our Trip Support technology and staff members see to it that every Stratos customer experience is a satisfying one, with a single point of contact simplifying requests or modifications. From basics like flight details to a full range of concierge options, our Trip Support services round out the experience in ways that leave nothing to chance. Charleston: Historic and beautiful, seaside Charleston has been named the country’s friendliest city by a number of national publications. Whether our clients spend time there on business or just want to enjoy the city’s famous hospitality, Charleston’s international and executive airports make for convenient private charter access. Columbia: The state’s capital and most populous city is a vibrant, exciting place, with the University of South Carolina campus lending a youthful exuberance to everyday life. Between Columbia Metropolitan and the smaller Jim Hamilton L.B. Owens airport, Stratos Jets clients find it easy to visit or depart. Greenville: Roughly equidistant from Atlanta and Charlotte, Greenville ranks as one of the country’s ten fastest growing cities. 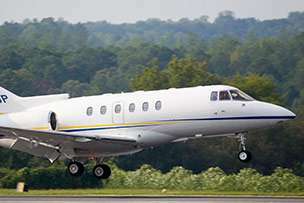 A number of area airports, including Pickens County and Greenville Downtown, enable handy private charter flight service. Myrtle Beach: Hosting an average of 14 million visitors each year, Myrtle Beach offers everything from world-class golf to exciting windsurfing, fishing, and kayaking. Myrtle Beach International Airport accommodates private charter travelers just south of downtown, while Grand Strand Airport and a number of smaller facilities in the area provide other options. With dozens of airports spread throughout the state, Stratos can arrange and manage private jet charter flights anywhere in South Carolina. Learn more about any of South Carolina’s airports at these links. Stratos Jet Charters, charter agents provide access to the best private jet charters in South Carolina. Our team will take you straight to the state of subtropical beaches and marsh like sea islands. We offer access to a network of over 5 000 planes and can get you in the air with as little as a few hours’ notice. All of the charter flights we arrange are pre-screened against a stringent set of safety standards and will be flown under the command of two highly trained and experienced pilots. Search our South Carolina airport directory for airport codes, runway information, available charter aircraft and FBO Information as well as empty leg jet charters in South Carolina.